It was a record breaking day in the MCSL and a scorching hot day in the DMV. 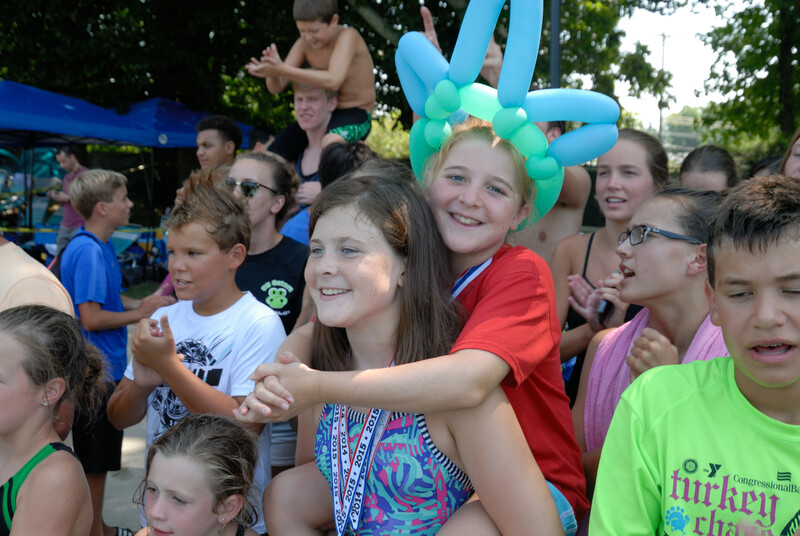 With most of the top 14 and under swimmers also competing in Age Group Champs at the University of Maryland this past weekend, there was a whole lot of swimming going on – and some tired kids and parents on deck. Despite the heat and exhaustion, we saw some wicked fast swims in the MCSL. It should come as no surprise that Rockville won their 9th Division A championship. They went undefeated in their season and won the relay carnival. The Rays brought their A game to the A division championship meet – they have not only fast swimmers but a lot of depth in all age groups. Stonegate didn’t give up easily though, coming in second by 141.5 points. Tally Ho brought some celebs, unbeknownst to Phoebe Bacon and Matthew Hirschberger, there was a gaggle of 8 and unders snapping photos of the Olympic Trials returning swimmers. It was fun to see Phoebe and Matthew in an MCSL meet inspiring future generations. Tally Ho was right on the heals of Stonegate, a 37.5 point gap was all that separated the second and third place spots. Tilden Woods beat Germantown by three points in their dual meet so the 11 point spread at divisionals was easily predicted. Upper County came in sixth but gave it a tremendous effort. Upper County and Tilden Woods will be missed – Bethesda and Country Glen welcomed. 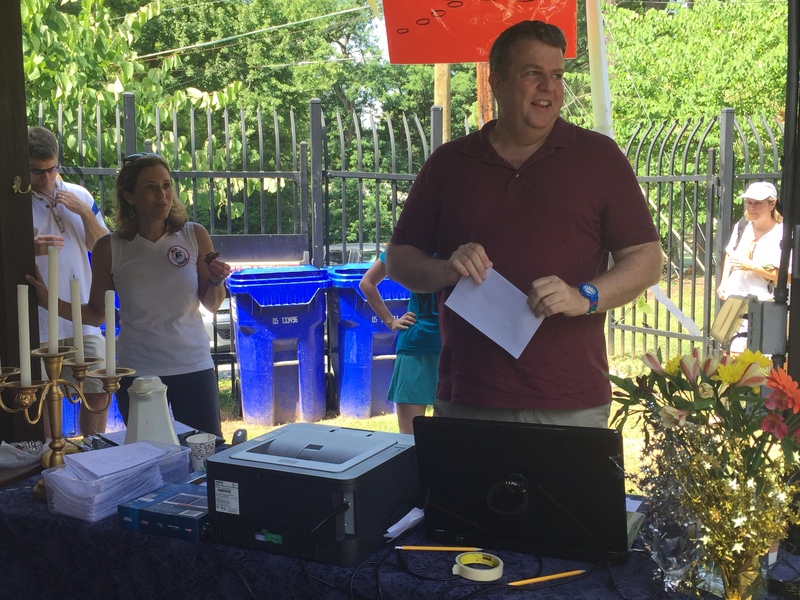 The famous Upper County DJ, Gabe Ado, was quite busy giving the graduating Seniors a proper send off and announcing all of the records – team, pool and MCSL. Tallyho Foxes 1:50.82 Rothstein, Andy; Flood, Jack; Feyerick, Brett; Hirschberger, Matthew TEAM record; Stonegate Serpents 1:51.88S Dowdall, Kaelan; Stanton, Aaron; Ott, Brady; Brown, Miles TEAM record. It would be fun to know the record for the most records set. A Division 2016 certainly set the bar high. Congrats to all. Going into the Division B championship meet, Bethesda trailed Country Glen in the overall division standings by 2 points despite BE winning all 5 of their dual meets. How is that possible? (Bethesda might want to practice relay starts next year so they don’t have so many DQ’s and come in last in A Relay Carnival…). 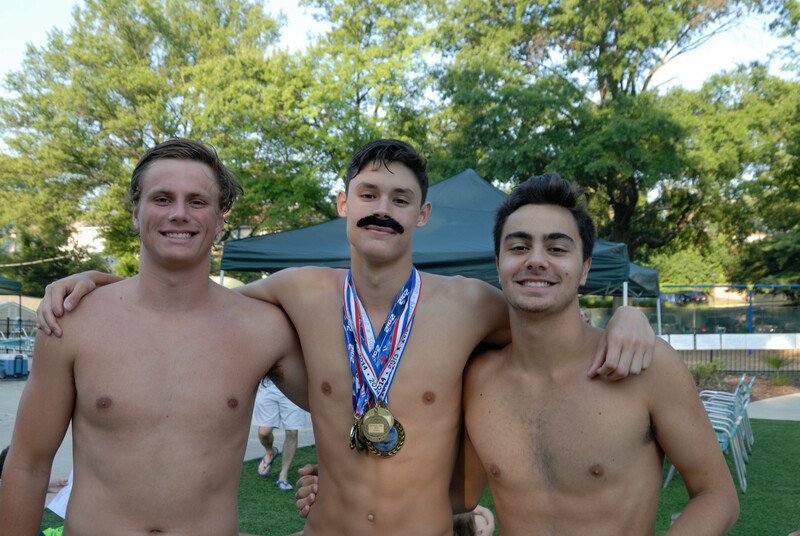 Woodcliffe closely trailed Country Glen and Bethesda going into the championship meet given that the Wahoos won A Relay Carnival, setting up an interesting showdown between Bethesda, Country Glen and Woodcliffe at Divisionals. On Saturday, the stars on each team showed up and did what they were supposed to do to help their team: win their respective races. Lots of Connecticut Belair pool records were set, which is pretty cool given Connecticut Belair’s storied history as one of MCSL’s original 6 members in 1958. With respect to individual pool records, Bethesda’s Kate Hallmark (12) set 4 pool records (100 IM, 50 free, 50 back and 50 fly), and Connecticut Belair’s Griffin Alaniz set 3 pool records (100 back, 100 IM, 50 fly). Two Country Glen 10 year olds each set 2 individual pool records: Samir Elkassem in 50 free and 25 breast; and Livia Venditti in 50 free and 25 back. Woodcliffe’s Anna Li (10) also set 2 individual pool records in 25 breast and 25 fly. And, Bethesda’s Hannah Kannan set 2 individual pool records in 100 back and 50 fly. 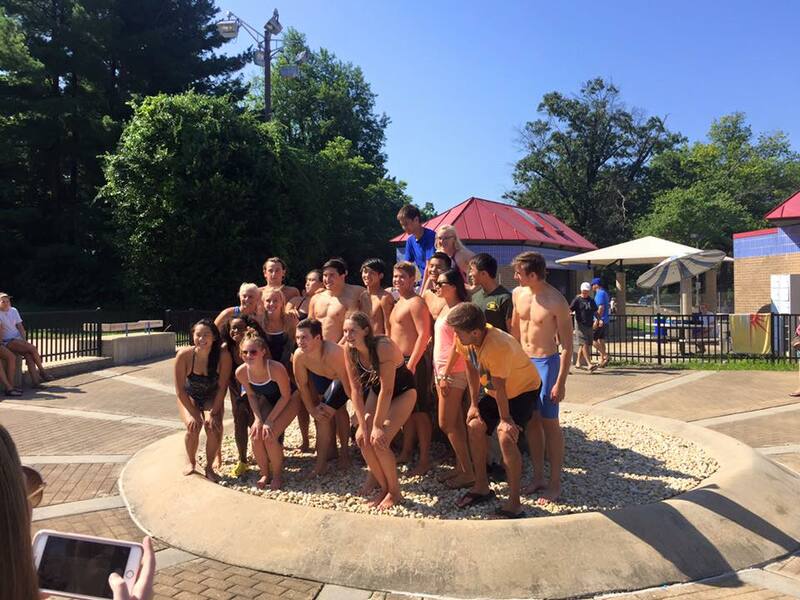 At the end, Bethesda’s breadth and depth across age groups carried the day, giving the Barracudas 1st place at Divisionals and enough points to win Division B (and make up for the egg that they laid at A Relay Carnival). Woodcliffe out touched Country Glen for 2nd place at Divisionals, but it wasn’t enough to pass Country Glen for 2nd place in the final division standings. 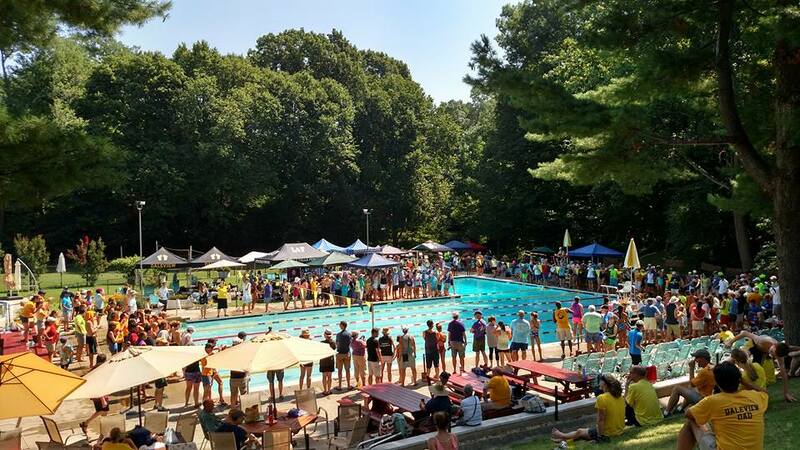 Connecticut Belair, who did a great job hosting both Divisionals and Relay Carnival at their awesome pool, finished 4th in Divisionals and in the overall division standings. ** Thanks to Danee Alaniz for the great photos above of Division B’s championship meet. 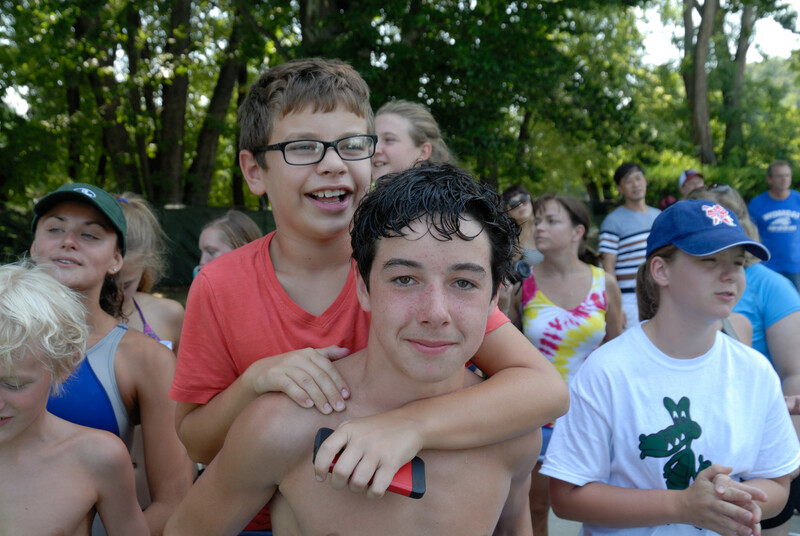 The G division meet featured a match up of two early members of the Montgomery County Swim League. That’s right. Both Bannockburn and Daleview were among the 4 teams that joined MCSL in 1959, the second year of the league, to combine with the original 6 teams to form a 10 team league. Besides Bannockburn and Daleview, Wheaton Woods and Wheaton Haven also joined the league in 1959. The original 6 teams that came together in 1958 were Cedarbrook, Connecticut Belair, Garrett Park, Glenwood, Kensington Heights (now called Kenmont) and Merlands. These 10 teams formally established MCSL, and all 10 are considered charter members of the league. All were assigned a single letter as their abbreviation. That is why if you look at the results of Divisionals, there is a B for Bannockburn and a D for Daleview while all the other pools have two or three letter abbreviations. Several neighboring pools were not far behind. Both Mohican, Merrimack and North Chevy Chase joined MCSL in 1961, according to MCSL records. Palisades (also in G division this year) joined in 1970. In a showing of sportsmanship, Daleview owes a huge thank you to Potomac Woods, as they provided two replacement lane lines for ones that snapped in the week prior to the meet. Overall the Division G championship provided a hard fought and spirited swim meet, with all attendees appreciating the culinary selections. 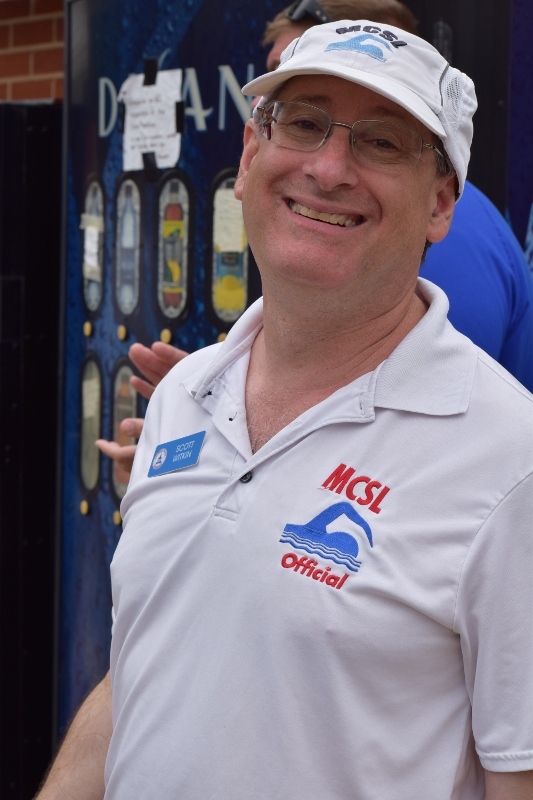 Division H is an amazing division as it includes both Scott Witkin (MCSL President) and Eric Smith (MCSL automation head). Both take their roles for MCSL and Division H very seriously (and with smiles-see photos included). As expected, our meets ran so smoothly from an “Officials’ rulings” perspective and accurate with times and points. This year’s Divisional meet was at North Creek, and to say they were great hosts is quite an understatement, as there was a plethora of parking, covered areas for timers and swimmer, offerings of water and iced tea every 5 minutes to keep everyone hydrated, and an officials break and feeding space that was not only air-conditioned…but with seating for all and food that you would only receive at a friend’s garden party. Division H has some of MCSL’s and PVS’s fastest swimmers as showcased in yesterday’s Divisional meet. There were some exceptions due to the Age Group Meet that is occurring this week(end) as well. Swimmers such as Jacob Lindner (Lakelands-NCAP) and others were not at Divisionals due to their busy Age Group commitments. We would like to include an update from each division. 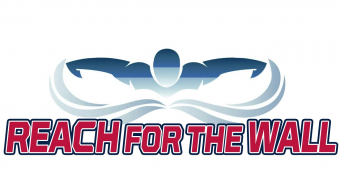 Please email us at contact@reachforthewall.org with a complete divisional update and we will include it. The sixth original team not mentioned in article above is — Glenwood.